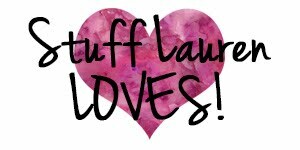 Part of the fun of taking school age kids is doing some fun activities that the littles don't quite have the abilities to do yet. Earlier this summer I purchased a beginners hockey set. It took us until the end of July to break it out, but when we did, we went all out! 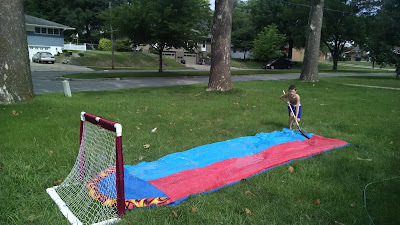 My first thought was to try out Slip N Slip Ice Hockey. 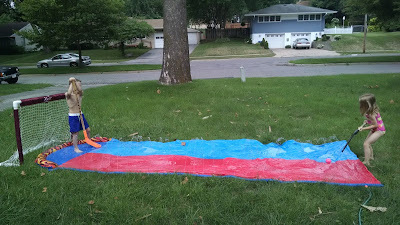 I made "pucks" from ice cubes (made in a muffin tin), but our pucks melted way too quickly and didn't slide across the Slip N Slide quite like I envisioned. 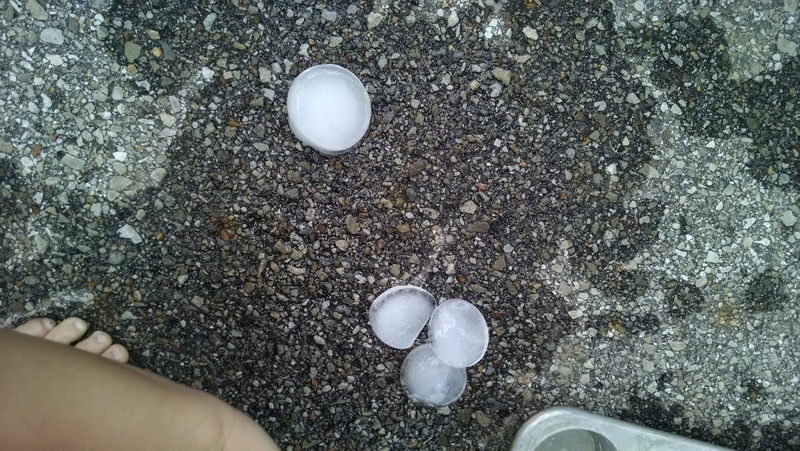 So, we got rid of the ice part and used the ball that the set came with. It worked great and the kids had a blast! The ice pucks that didn't work out too well. 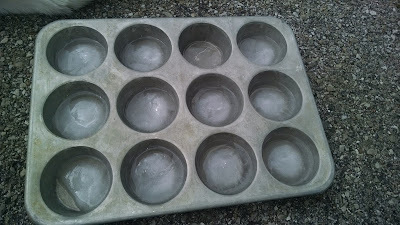 The kids that were waiting for their turn built "muffin tin ice cube snowmen" with them instead. 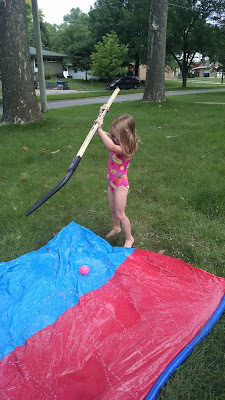 Max showed the kids how to hold the hockey stick and hit the ball into the net. 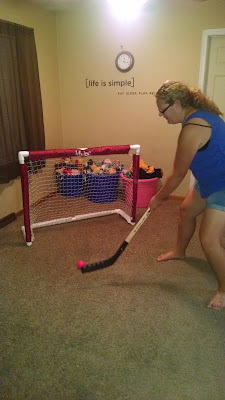 We spoke about the job of the goalie and blocking the shot. Then it was time to play. 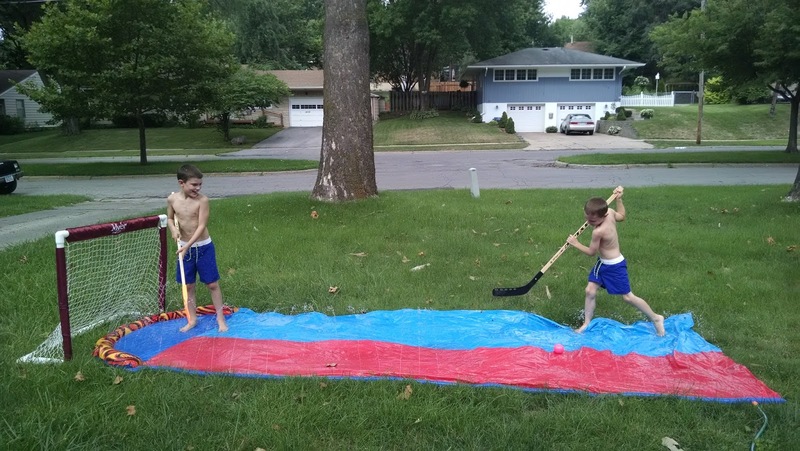 The kids took turns playing one on one against each other (the kid taking the shot then became the goalie, that way every child had a turn to do both). A few of the younger kids (age 4) needed some assistance controlling the hockey stick. 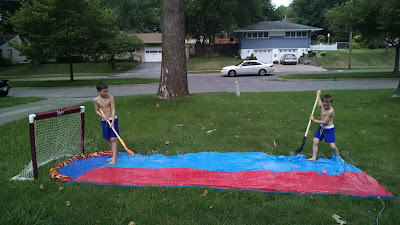 After they had all had a turn or two, they took to having races down the Slip N Slide, then went back to playing hockey. It was three hours of non-stop cooling fun! 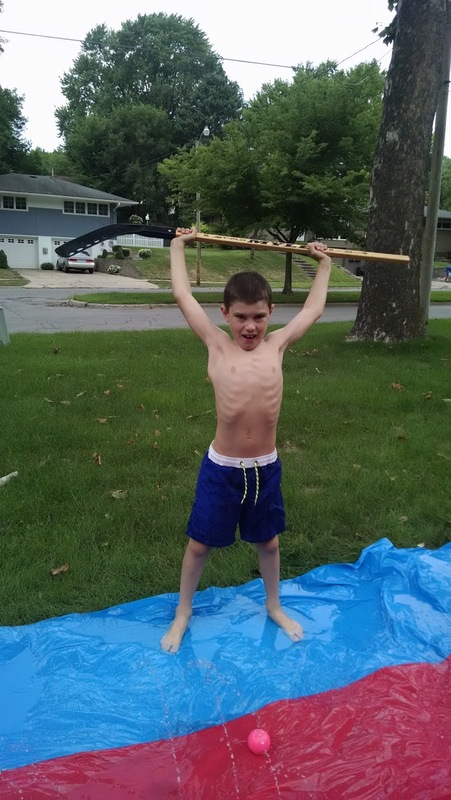 This is definitely a summer keeper!